Parents of children with attention deficit hyperactivity disorder (ADHD) have been found to prefer sensory integration (SI) training rather than guideline-recommended ADHD treatment. This study investigated whether SI intervention for children with ADHD was associated with a reduced risk of subsequent mental disorders. From children < 8-years-old newly diagnosed with ADHD in a nationwide population-based dataset, we established a SI cohort and a non-SI cohort (N = 1945) matched by propensity score. Incidence and hazard ratios of subsequent psychiatric disorders were compared after a maximum follow-up of 9 years. The incidence of psychiatric disorders was 1.4-fold greater in the SI cohort, with an adjusted hazard ratio of 1.41 (95% confidence interval 1.20–1.67), comparing to the non-SI cohort. Risks were elevated for emotional disturbances, conduct disorders, and adjustment disorders independent of age, gender, or comorbidity. Among children with only psychosocial intervention, the incidence of psychiatric disorders was 3.5-fold greater in the SI cohort than in the non-SI cohort. 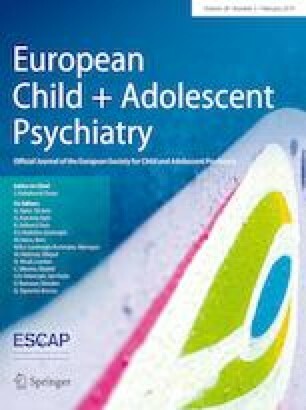 To our knowledge, this is the first study to report an increased risk of developing psychiatric disorders for children with ADHD who received SI compared to those who did not. Potential adverse effects of SI for ADHD children should be carefully examined and discussed before practice. Drs. Shu-I Wu and Fung-Chang Sung contributed equally to this article. This research team is supported in part by the Bureau of Health Promotion, Department of Health, Taiwan (DOH99-HP-1205); Taiwan Ministry of Health and Welfare Clinical Trial and Research Center of Excellence (MOHW107-TDU-B-212-123004), the research laboratory of pediatrics, Children’s Hospital of China Medical University (grant number DMR-105-042), China Medical University Hospital (DMR-106-025), Academia Sinica Taiwan Biobank Stroke Biosignature Project (BM10701010021), NRPB Stroke Clinical Trial Consortium (MOST 106-2321-B-039-005), Tseng-Lien Lin Foundation, Taichung, Taiwan, Taiwan Brain Disease Foundation, Taipei, Taiwan, Katsuzo and Kiyo Aoshima Memorial Funds, Japan, Department of Medical Research, Mackay Memorial Hospital (MMH-106-93, MMH-106-55, MMH-106-44). RS is part-funded by the National Institute for Health Research (NIHR) Biomedical Research Centre and Dementia Biomedical Research Unit at South London and Maudsley NHS Foundation Trust and King’s College London. Authors RFT, YCC, KLK, YCW, and SIW designed the study and wrote the protocol. Authors YCW, CHM, and SIW undertook the statistical analysis, and author RFT wrote the first draft of the manuscript. All authors contributed to the writing and have approved the final manuscript. RS has received research funding in the last 5 years from Roche, Janssen and GSK. All other authors declare that they have no conflicts of interest.